Here’s an idea! Schedule Admin Time! Shameless Plug – End of the Year and Post Planning Training Opportunities! Now is a great time to schedule your big reader reward celebration for the end of the year! Go to www.tommyjohnspresents.com to look at pricing, shows offered and an up-to-date schedule! Big News! 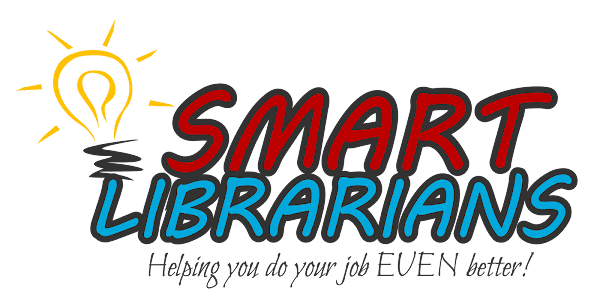 I have already been booked to conduct Media Specialist training sessions for a couple of school systems for post planning. Want to have a great, relevant and FUN workshop? Check out http://tommyjohnspresents.com/teachers.htm for topics and give me a call today! Shameless Plug - Post-Planning Training Idea! "What the world of tomorrow will be like is greatly dependent on the power of imagination in those who are learning to read today." I saw a bumper sticker last year on vacation that said “What I need is more time, more money, and less $%#@&* from you people!” There never seems to be enough time or money to get the work done and many media specialists have lost hours and personnel, and some have even been moved to the classroom for art of the day. Here’s one way to make the best of the situation. 29. Recruit and TRAIN volunteers to help with checkout, shelving, website, checking in orders. Whether you call them Media Moms or just helpers, they need to feel confident that they know what they are doing and that it is important work. You MUST train regular volunteers, if you hope to retain them. You also must appreciate them and let them know that you do. A well trained, appreciated volunteer who feels that she is making a difference is an UNBELIEVEABLE asset and can be an amazing advocate for you. Principals listen to parents, and media moms can be passionate friends of your library. You also need to have high expectations for your volunteers. Don’t be overbearing, but make volunteering a privilege that has to be earned. I know this is counterintuitive, but it is important to retaining quality volunteers. An excellent book to help you understand volunteers (and to teach you how to get the most from them) is The Care and Feeding of Volunteers: Recruiting, Retaining and Rewarding Volunteers, by Bill Wittich. Look outside the school for volunteers. Carefully screened community volunteers, Partners in Education, and church groups are often willing to help. And don’t forget the grandparents of students! This is not so much a tip as it is a relevant article that sums up the frustrations many of you and your co-workers are experiencing this time of year. It’s “hot off the presses” from New Yorker Magazine. Read it, share it, and comment on it. The kids, teachers, and assistant principal have been told me how great you were and how much they enjoyed the show. I couldn't agree more! Some are already asking if you can visit again next year!! :) Hope you have a safe journey home!